The Wool market peaks in 2015, with 48% lower sales total in the first half of 2016: The global market for Wool’s paintings and works on paper reached $97.1 million in 2015, representing an 11.9% increase from the previous peak year of 2014. 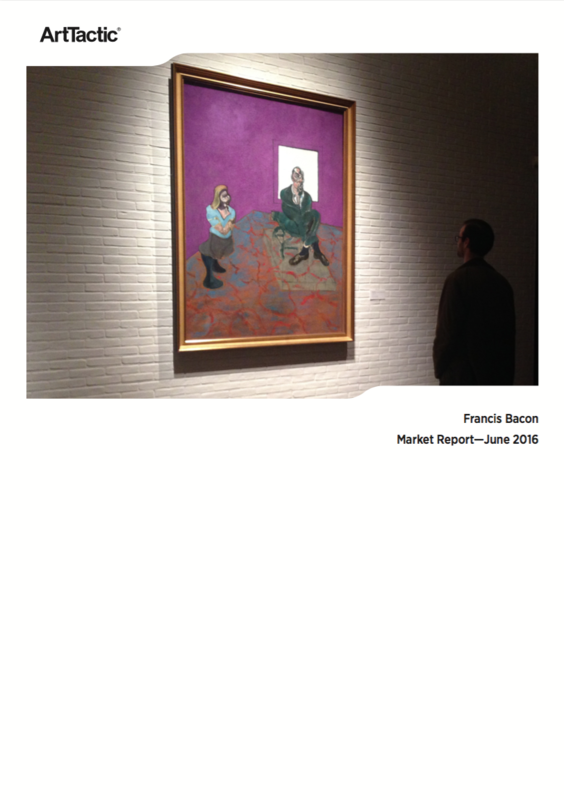 The overall value of the market for the artist’s works sold in the last three years totals $252.7 million for 93 lots, giving us an average price of $2.7 million. In the first 6 months of 2016, only thirteen works have come to auction out of which nine have been sold with a combined value of $30.7 million, this was 48% lower than the same period in 2015. Out of the nine works that have been sold at auction so far this year, six of these sold below or on the low estimate, two works sold within estimates (although in the lower part of the range), and one lot sold above. 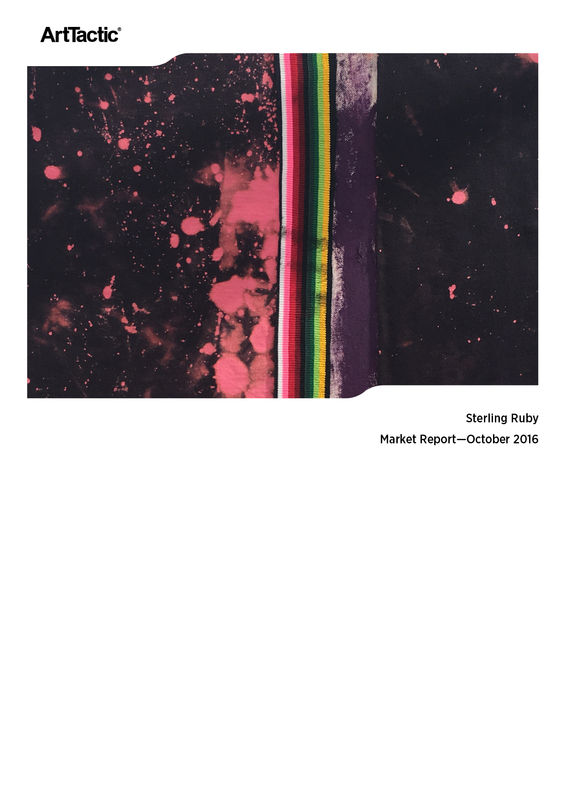 This Market Report is the first Wool research published by ArtTactic and is to be followed by regular updates. 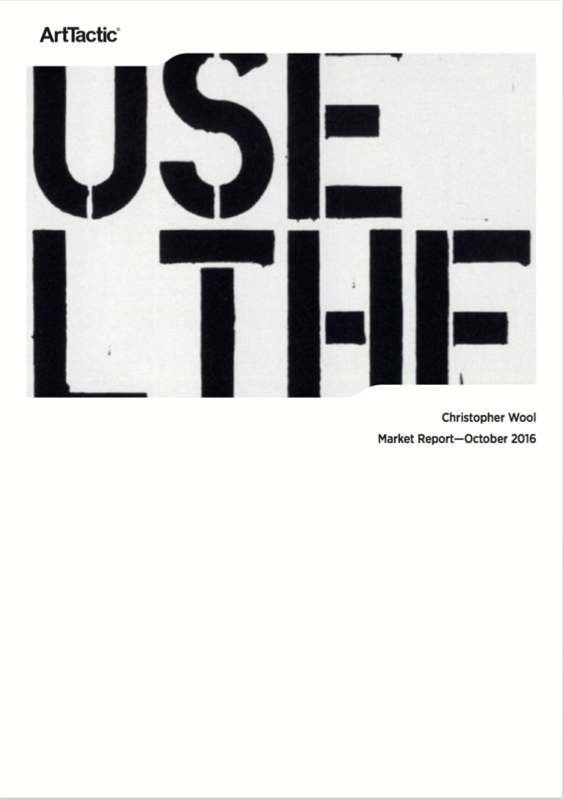 ArtTactic also offer bespoke reports on the Christopher Wool market. For further information please contact us on info@arttactic.com. Total Sales, Average Prices and Hammer-Ratio analysis. 2000-2016. Analysis by segments including; Breakdown by Size Segments, Series, Periods by Year of Creation, Geographical Location and Auction Houses 2000-2016. Price Segmentation and Top 50 Price Analyses 2000-2016. 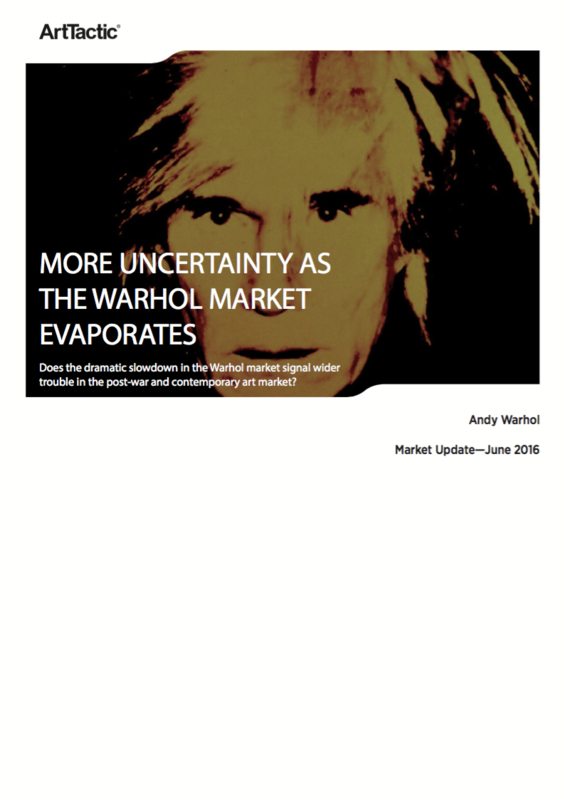 ArtTactic ArtForecaster Analysis on most recent lot sold at auction. Wool Market Short-term Confidence analysis. The overall auction sales of Christopher Wool's works sold in the last three years total $252.7 million for 93 lots, giving us an average price of $2.7 million.